Do you realize that your reality completely changes and dramatically improves when you allow your conscious participation with creation to shift from a Third Dimensional Reality to a Fifth Dimensional Reality? …and also why so many individuals on the path of awakening are often so misunderstood…. Honestly speaking, most humans these days have no concept that there is anything beyond their current understanding of reality. For them, 3D living is status quo. Fears and worries about things like money, the future, health, longevity, relationships, family matters, and questions concerning their lives are given away to chance, hope, challenge and outside forces, like the government, doctors, lawyers, bosses, corporations, healthcare systems, school systems, etc. However, in the Fifth Dimensional reality, where consciousness prevails and The Universal Law of One is the only real law, we do have power over our reality and over our entire lives. We have been, and continue to learn how to take back our power, by healing and resolving the underlying fears, clearing up the dross and unconsciousness, owning our sovereignty and stepping into more complete consciousness. Co-creation and Collaboration really helps too! As we realize our creative potential, and begin to align with the highest vibrational energies of reality, we no longer live in fear and and instead, come to absolutely know that we have total and complete power over our reality..and that we hold the keys to effectively co-creating a healthier, happier planet. This requires some reprogramming on each of our parts. and Lead the Future of Humanity into a New Era based on Unity Consciousness! …together as a Collective Earth Family in a Unified Field of Dimensional Reality. We are a powerful group of Masters of LOVE and Light in human form. We must be willing to do the work…to give up our attachments to our lower density consciousness, the ‘take a pill and fix it fast’ illusion, and all of our current belief systems which have been holding us back and keeping us stuck. We must be willing to move beyond the limitations of our egoic identities and instead, charge ahead toward our still not fully recognized greatness. We are each working on our own unique parts of this hodge-podge of rejoining the collective by resolving our own inner issues, healing ourselves and coming back into balance with our knowingness. For the highly conscious, awakening beings out there, for those of us who are already operating within a unified field of one-ness and non duality, living in alignment with our true divine nature, authentically on purpose….we know that there is something much better, much greater, much more magnificent, than the current, widely accepted ‘norm’ of three dimensional living. And we will never again accept anything less. For those of us in the ‘know’, we are already experiencing life in an entirely new way…and while we recognize that many others are still experiencing their reality in the old, outmoded, 3D way of lack, limitation, poverty, illness, struggle, etc., we also KNOW that each and every person will be joining us, here NOW, relatively soon. 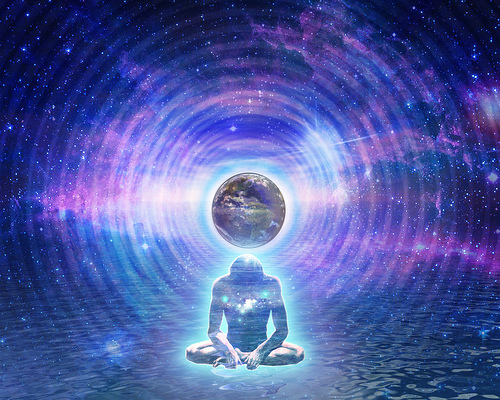 It’s time to re-member and LIVE YOUR BEST LIFE EVER by applying the sacred mechanics of universal, Wisdom and LOVE into all of your earthly reality, which will in turn create the foundation required for you to thrive as a 5th dimensional BEing in a 3d dimensional world. is perhaps most well known for her recognition of the Animal~Human connection in terms of how animals mirror their human’s behavioral, physical and emotional tendencies and for her programs that focus on the interconnectedness of all beings. 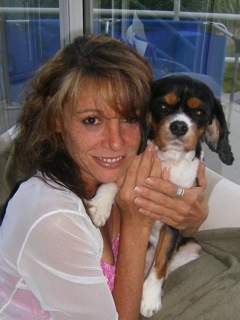 With over 20 years of experience serving humans and animals around the world offering seminars and workshops on how we can improve our lives by learning from animals, Lori has become an internationally recognized expert, speaker, author, Visionary, Light-worker, Intuitive and Healer for both 4 and 2-legged creatures. Lori also leads powerful manifestation and healing circles where she connects people and animals to their true power via The Universal Source and activates Dormant DNA, thus allowing them to shift their consciousness and live their best lives ever.